she really thinks she is. Great focus and clarity. You are getting "the look!" Look at those eyes.... Great shot! Such an intense expression! 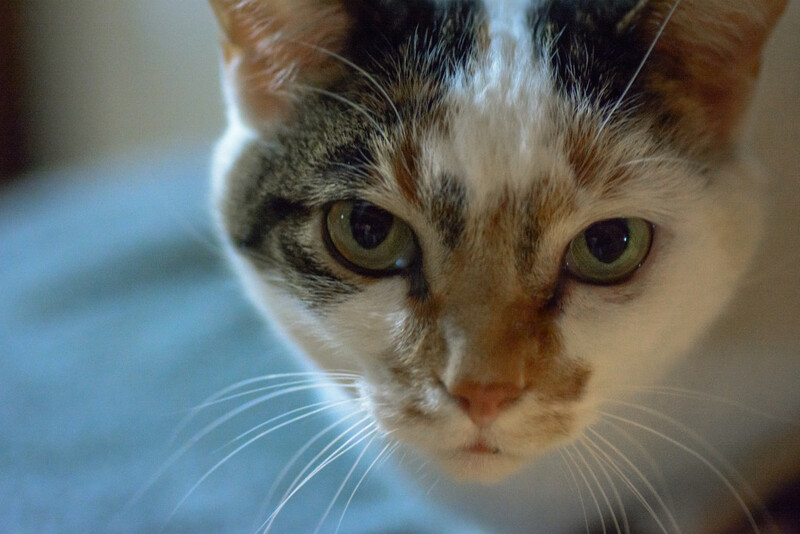 Kitties make wonderful photography subjects.